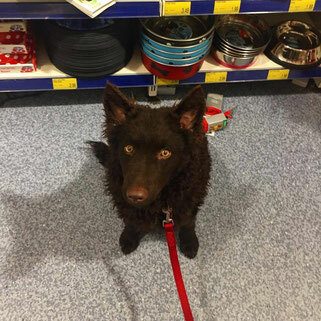 Mudi, Red, aged five months socialising in local shop. 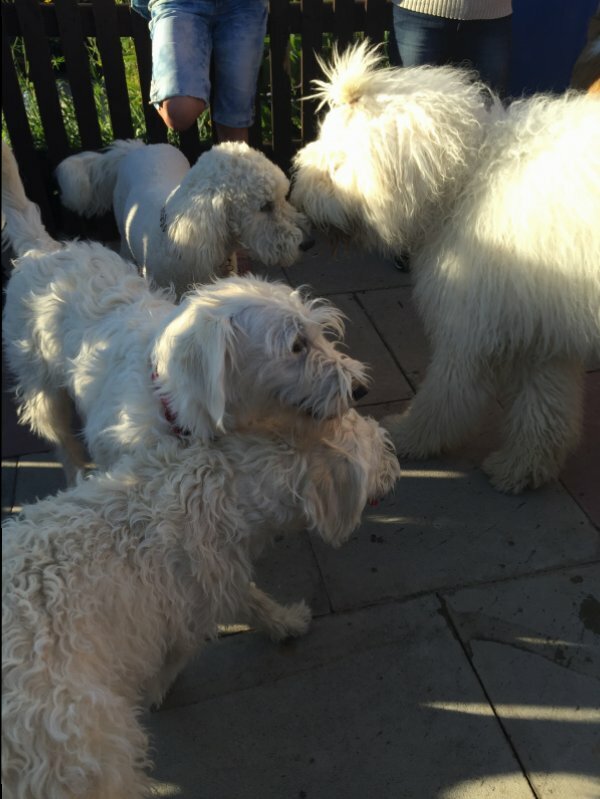 Socialising is an essential part in any young dogs life, it is all about preparing the puppy for people, other animals or events it will run into in later life, assisting and ensuring your puppy will grow into a happy, healthy, and importantly confident adult. Failure to correctly socialise a dog can cause a lot of behaviour problems including Aggression, both to humans, other dogs or other animals, Anxiety, Nervousness, and many more, the first year of any dogs life is the most important to set them up to be successful adults.. Issues which are easily corrected in a puppy become very difficult to fix in adults, I would also like to stress the importance of not only physical, but mental stimulation even in young dogs. An always bored Mudi can very quickly become a frustrated ball of energy, destructive, barking and looking for trouble. Komondors, especially those expected to be house dogs can also become destructive and loud, they are both breeds who need space to run and let their energy out regularly; They are not merely content to laze around confined to the house all day. Mental stimulation includes things such as quick five minute training sessions, toys, following scents to find treats and of course there are now special puzzles created that a dog must work out in order to get the food, all are good options for allowing your companion to release their energy. Below are some of the interactions we would like to highlight to new puppy owners as areas of importance to socialise your puppy to help them grow into a confident adult dog, regardless of breed! Strangers - New People the puppy has never met before, children, adults, elderly, different accents and/or languages, walking styles and more if available. 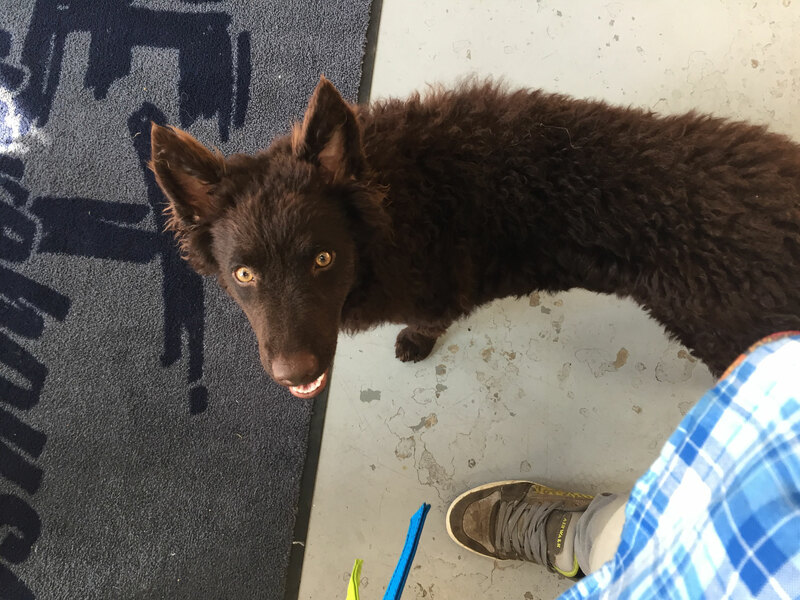 New Dogs - Dogs the Puppy does not live with, preferably well behaved adult dogs, or puppies who they can play with of equal size/roughness. New Situations - Show the puppy there is nothing to be afraid of! Car Journeys, Town visits, Shop visits, public transport, keep it positive and never end on a bad experience! New Textures - Different textures to walk on are important for a puppy to become accustomed to. Indoors with carpet, tiles, wood and laminate and outdoors with puddles, mud, grass, pavement and more uncommon surfaces such as sand and snow if available. New Noises - Expose the puppy to new, different noises regularly. Household noises such as the hoover, polish, closing doors, pots and pans, and the more unusual noises often heard outdoors such as fireworks and car horns or traffic. Actions - A commonly forgotten socialisation, show the puppy different actions we perform which are unusual, such as putting up an umbrella, shaking open a bag, erecting a tunnel etc. Encourage the puppy to be involved or relaxed. Events - Depending on your plans for your puppy, it is wise to let them adjust to the atmosphere. Often, Conformation shows will have a baby puppy class (4-6 months), agility and active sports allow puppies to spectate, and already early in age the puppy could take part in the beginning of obedience if you pleased. If the dog will be working, introduction to Sheep/livestock is an essential part of having a confident working companion in older years. Grooming/Handling - Teach the puppy to not only tolerate, but enjoy being groomed and handled! Handle the mouth, ears, paws, nails and tail regularly, and adjust the puppy to being brushed and/or gently pulled at overtime. 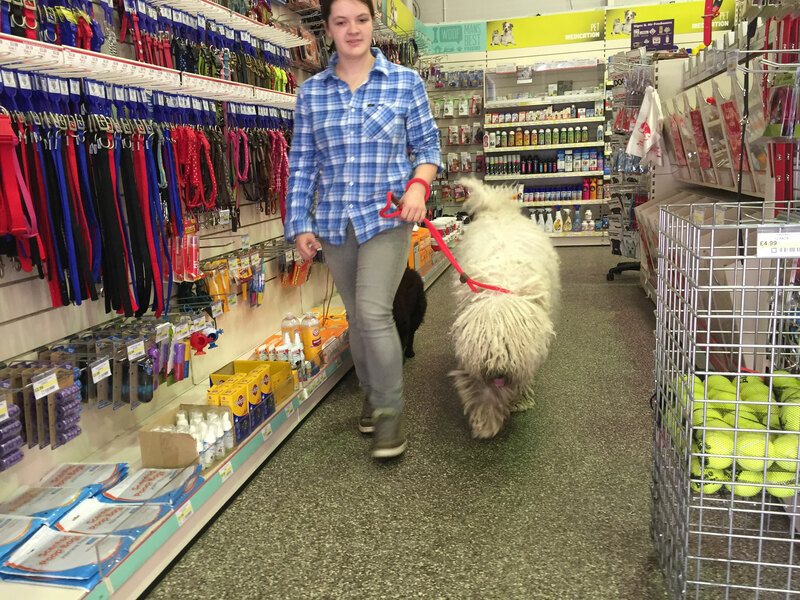 Especially for Komondor you should get them used to having their hair played with, as when they are older and you need to cord it will make life a lot easier. Livestock - Cows, Sheep, Goats, Horses, Pigs, Chickens, Ducks and other livestock all behave differently, it is ideal to teach a puppy from a young age how they should behave around each of the different types. Puppy should be taught not to chase, bark at or pounce on any of the animals.. Often herding dogs will display their herding instinct very early, this is a different behaviour and should not be mistaken for chasing. 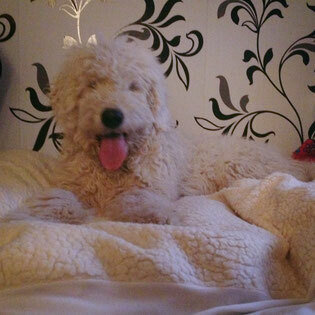 Komondor, age four months pleased to be involved in our family life. 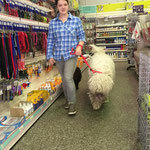 All litters, both Komondor and Mudi will be born inside of our home in a quiet whelping area. In the puppies early weeks before leaving for their new homes they will be regularly socialised to having their nails clipped, gums checked, paws handled and being examined both on and off of a table. They will also be exposed to the common household noises, including things such as the vacuum cleaner, rustling bags, food bowls, umbrellas being erected, doors closing and a range of new and exciting smells. While still with mum they will also have the radio on and have specially created CD's playing to begin exposure to fireworks, lightning, car horns, trains, traffic sounds and many more different noises they are likely to experience as they grow. 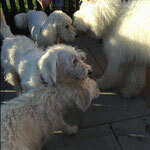 All puppies will experience meeting well behaved dogs which are not related to them within the household environment. They will experience travelling in the car, visiting the vets, introductions to other animals, wearing a collar and being on lead before they leave for their new homes. Those who remain with us until sixteen weeks or more due to travelling requirements for their individual country will advance on in our socialisation schedule, they will be house trained to go outdoors, experience visiting pet shops, road walking, and will begin attending a puppy school at 12 weeks to allow them to socialise with other puppies their age. For more information or to discuss our socialising schedule please do not hesitate to contact us. 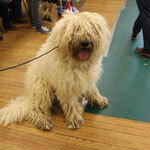 Komondor, Rasta, gaining his Bronze Canine Good Citizen award. A controlled puppy school is a great place to begin attending once your puppy has had their foundation injections/is over 12 weeks of age, this will teach him/her how you expect them to behave when around other people and dogs. 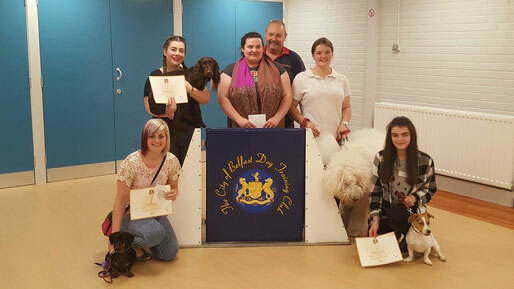 We always suggest having a class booked in advance, as often these classes are full and it can be hard to find one with open spaces once you have the puppy home already. 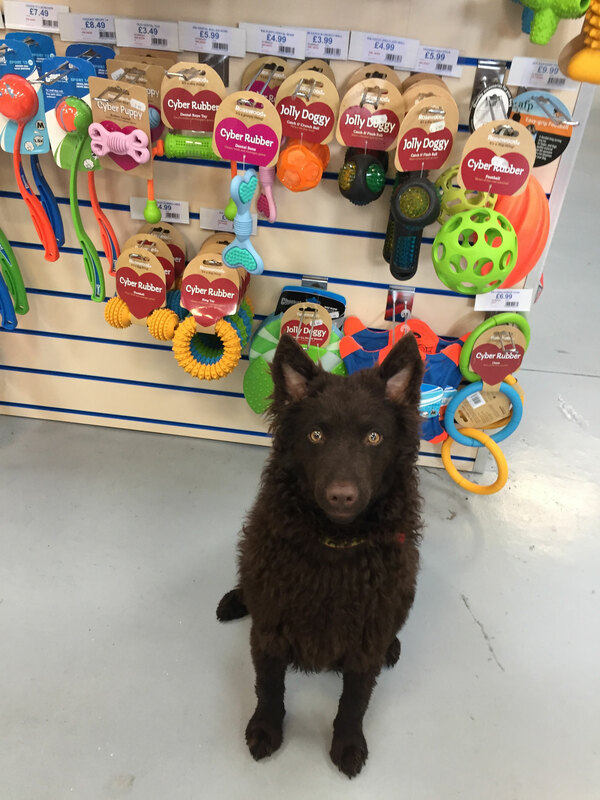 Mudi are very intelligent and eager to learn, they often enjoy their handlers company and enjoy to be taught new tricks. 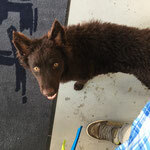 They work best with their handlers offlead and this should be encouraged, the Mudi is very sensitive to how their owners are feeling , in training the owner should always be confident and keep it light hearted and always happy, your dog should never have a reason to not want to be with you. 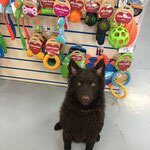 Mudi learn almost without being taught and once shown how to do something will repeat it again and again to make their handlers happy, They are often the best dogs in their class both in puppy and adult training classes. 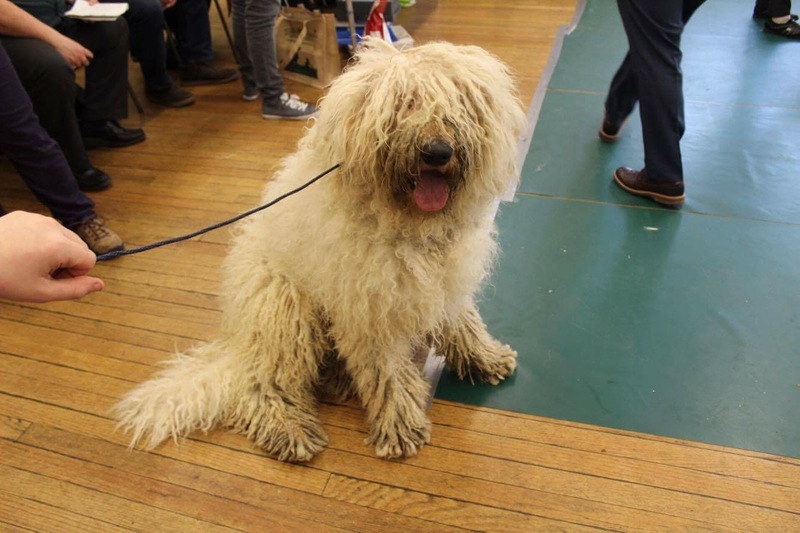 Komondor can be hard headed and have a mind of their own, it is important that it is remembered that often what you teach a Komondor as a puppy, they will 'forget' once they become an adult. They see it as their job to protect you, not please you. 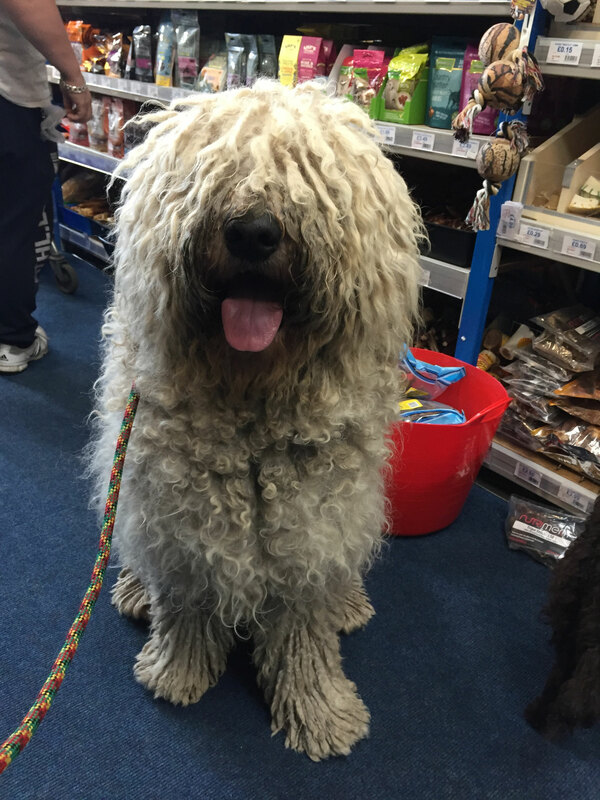 Socialising your Komondor in a controlled setting however is paramount to you having a sound, well mannered trustworthy dog as an adult. 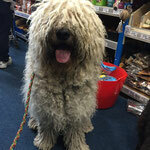 If you would like a social Komondor I recommend along with regular puppy classes that you allow your Komondor to meet strangers on a controlled setting regularly, either in pet shops, on walks, or in social meet ups with other well behaved dogs.